What does the Bible actually say about the end times that lead to the return of Jesus Christ? The differing ideas that divide believers into four major points-of-view are examined in the Four Views of the End Times. 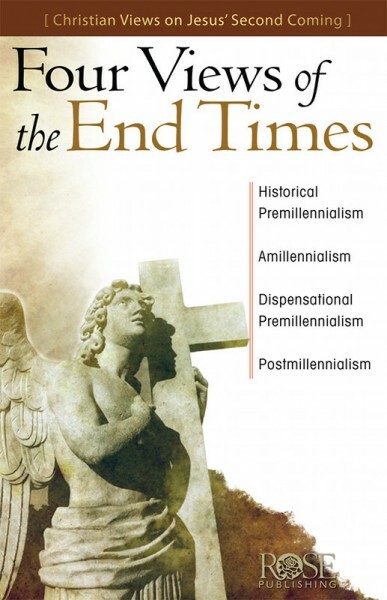 It shows four different Revelation timelines and tackles Pre and Post-millennialism, as well as Historic Premillennialism and Amillennialism objectively. For each view, it includes a definition of the position with supporting Scriptures, a time line of the view's popularity, and a sampling of Christian leaders supporting that view.